BoB (Homepage) wrote: Che ordine, questo si che è un piano regolatore. Bellissima. Marcie (Homepage) wrote: WOW! What an amazing cityscape. Love your point-of-view and how you managed to capture so much density within the frame. pernilla (Homepage) wrote: I like this view! Great b&w tones. Andrés (Homepage) wrote: The tones are fantastic. Looks like AMS?? 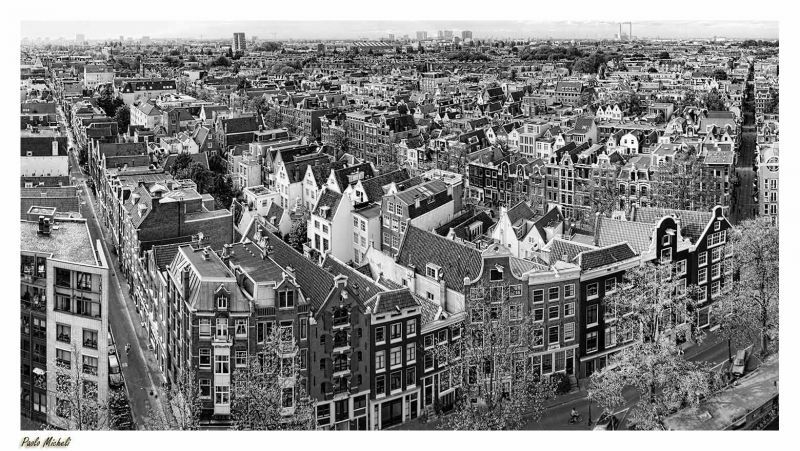 Cees (Homepage) wrote: I really like this view and the conversion to black and white!! I'm really curious were this picture is made!! mbecher (Homepage) wrote: Great view and bw conversion. I'd like to view this large. Laurie (Homepage) wrote: That is an amazing view.